Our desire is for children to grow in their understanding of God, their relationships and their overall sense of who God is making them to be. Kidventure Basecamp is not “Sunday childcare,” it is a place of safety, teaching, and an expression of God’s love. 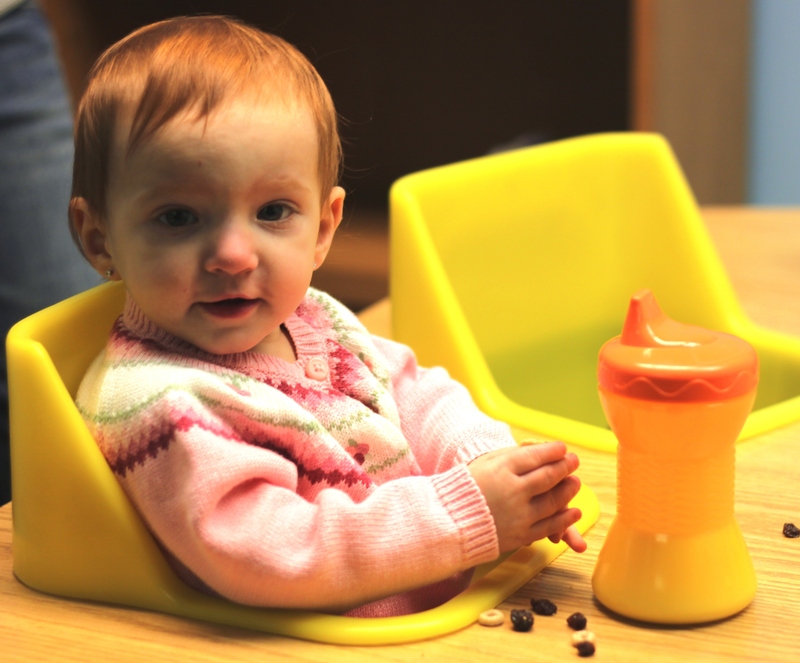 To Feel Welcomed: You and your infant/toddler will be greeted with a smile at our Basecamp desk. Each of you will be given a matching wristband with the child’s name and an identification number. To Feel Loved: Our trained infant and toddler leaders are committed to sharing the love of Jesus with your child through engaging activities and play. To Feel Safe: We have many safety procedures in place, but one of the most important ways to create an enviroment where a child feels safe is building relationships and trust between the child and leaders. 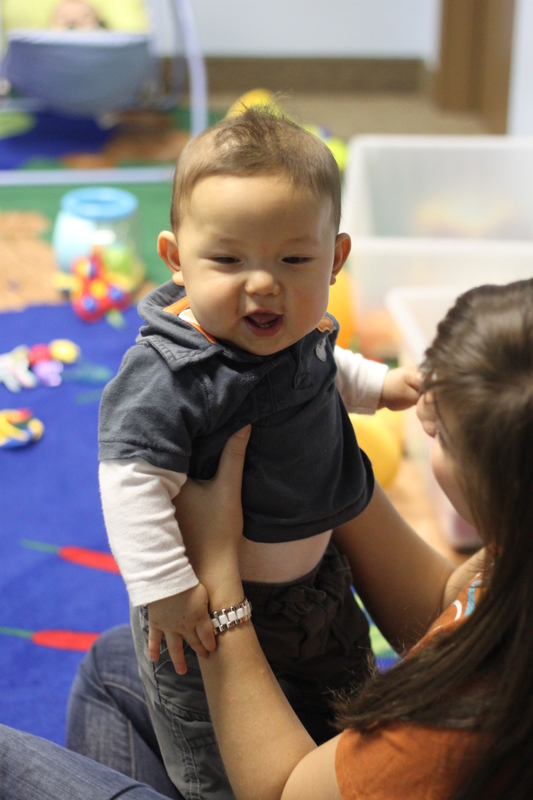 Our infant and toddler leaders serve in the classrooms every Sunday, every other month. This consistency is crucial in cultivating those relationships. Here at Base Camp we have some policies and procedures in place to help ensure your child’s safety and care. 2-Adult Rule, Room Capacity and Ratios Our 2 Adult Rule ensures 2 adults in our classrooms at all times. This means restroom breaks and diaper changes are performed by one of our trained Oversight Volunteers. Each of the 6 Base Camp classrooms has a sign posted outside stating the room capacity and an adult/child ratio that is to be upheld in the classroom. In the event that we reach capacity and/or ratio, the room is subject to closure for the service. Drop-Off & Pick-Up Children are accepted into the classroom at 8:45AM and 10:45AM, 15 minutes prior to the service and must be signed in by their parent or guardian. Children should be picked up immediately following the service unless paged beforehand. Enrollment It is imperative that a First Timer form be filled out for each child visiting Kidventure for the first time. A Kidventure Registration form should be completed if you choose to make Grace Chapel your church home. At this point, your child will be added to the next month’s roster and you will receive a phone call from the Children’s Community Director. You can request both of these forms from your child’s classroom teacher. Tips & Reminders Should your child need you during the service the number on his/her wristband or nametag will appear briefly in the lower left hand portion of the screens in the sanctuary. Please be aware of your child’s number and return to the Base Camp area if it is posted.